Set in a post-apocalyptic world, where folk song is one of the few things that has prevailed, this album puts itself forward as a perfect setting for storytelling. 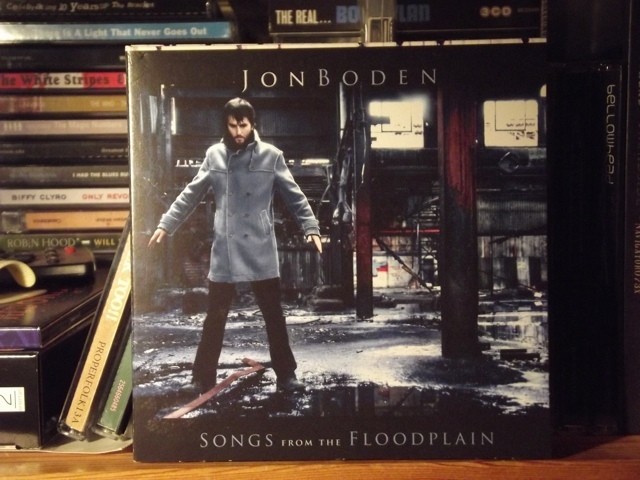 As a follow up from Jon Boden's solo debut, Songs From The Floodplain is set to be a promising album before one has even begun listening. The first track 'We Do What We Can' really draws the listener in with the memorable chorus and upbeat melodies and as each track gently flows into the next, the listener is left feeling a great sense of melancholy but at the same time an overwhelming feeling that this could really happen. As each song passes, one is taken deeper and deeper into the post-apocalyptic world and Boden's lyrics really make you appreciate what you take for granted in our current world. Each track is superbly arranged with excellent musicianship. From 'Don't Wake Me Up 'Til Tomorrow' to 'Beating The Bounds', two very different songs, where Boden's powerful voice comes through with beautifully meaningful and poetic lyrics striking the listener to the core.